Do ties between political parties and businesses harm or benefit the development of market institutions? The post-communist transition offers an unparalleled opportunity to explore when and how networks linking the polity and the economy support the development of functional institutions. 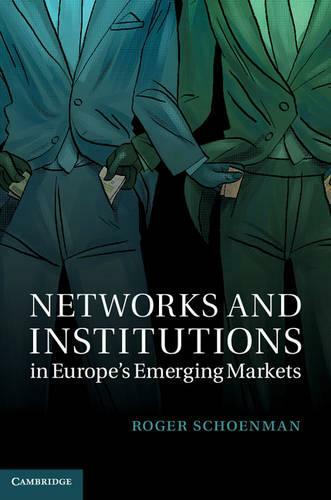 A quantitative and qualitative analysis covering eleven post-socialist countries combined with detailed case studies of Bulgaria, Poland and Romania documents how the most successful post-communist countries are those in which dense networks link politicians and businesspeople, as long as politicians are constrained by intense political competition. This combination allowed Poland to emerge with stable institutions while Bulgaria demonstrates that in developing economies intense political competition alone is harmful in the absence of dense personal and ownership networks. Indeed, as Romania illustrates, networks are so critical that their weakness is not mitigated even by low political competition. This title is available as Open Access on Cambridge Books Online and via Knowledge Unlatched.